XCoinBrokers is a massive scam website. I’ve been kick off the system twice without any refund or withdrawal process. They keep lie ing to me for the last six months and they a bunch of scammers and thieves. 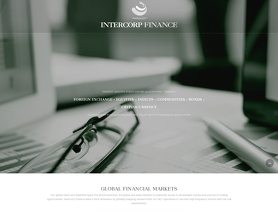 INTERCORPFINANCE.COM is the new Company of JAMES FREUDMAN now called JAMES F. BRENT who is a notorious scammer previously working for Options Signals. James Freudman of options signals is a con artist and scammer defrauding multiple investors around the world and Europe out of their hard earned cash. He purports to work for options signals and other binary options and forex trading companies like ST Capitals for which he is a shareholder of. If you have been another victim of James Freudman please get in touch and leave comments below"
Most of the clients of JAMES FREUDMAN BRENT have been scammed in their previous contract with him and Options Signals and their accounts have been completely emptied by not authorized trading. NOW with his new Company INTERCORPFINANCE.COM he is offering to his defrauded clients to ‘recover’ their credits paying him fees up to $60,000.00 with vinculating new contracts. Address 2: 705 JLT Armada Tower 2, Sheikh Zayed Rd, Dubai, United Arab Emirates. XCOINBROKER.COM also has a very bad reputation. XCoinBroker does not provide a visitable physical location according to a Google Maps search query and knowingly operates without regulation or governing licensing. Many of the About Us textual elements featured at XCoinBroker were taken from pre-existing brokerages such as StackOptions.com, Medium.com/@TradersLiberty and YardOption.com. There is no evidence amongst several online business registries to support the authenticity of Zed Consult Ltd being an active corporation. Above their About Us section, XCoinBroker incorporates a banner of supposedly accepted payment methods such as WebMoney, Visa, QiwiWallet, MasterCard and Yandex yet their platform only accepts Bitcoin deposits, which happen to be irreversible once sent. XCoinBroker does not institute an AML (Anti-Money Laundering) policy nor a KYC (Know Your Customer) protocol which means we are unable to verify that XCoinBroker operates within legal parameters or values their customers. Weighing the evidence disclosed above, it goes without question that XCoinBroker is not a legitimate or trustworthy investment brokerage." This new contracts are courrently involving hundreds of clients that are now risking to be doubled-scammed by JAMES FREUDMAN BRENT and his associated Companies and partners.